Today the Nokia 8.1 was revealed as a global phone, complete with an Android One version of Android Pie. HMD chief Juho Sarvikas said that the Nokia 8.1 is the direct successor to the Nokia 7 Plus and the company's newest premium affordable smartphone. The Nokia 8.1 is an Android One device much like every other Nokia phone this year and this one ships with Android 9 Pie out-of-the-box. Luckily Chetan Cale, a gifted photographer and member of Nokia Community, was there to take some shots with it. This device will be released in Europe starting "in mid-December" for £379.99 (€399). Both the camera sensors are powered by ZEISS Optics. The front of this device also sports the NOKIA logo on the chin. 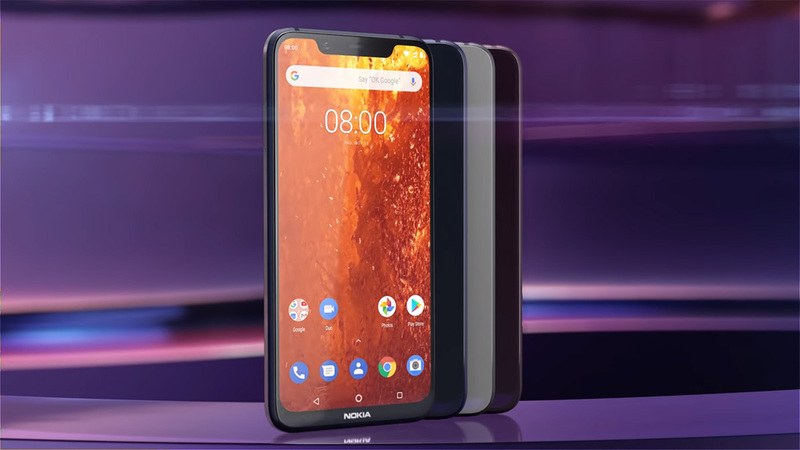 Like Nokia's recent launches such as the Nokia 6.1 Plus and Nokia 7.1, the Nokia 8.1 also features a glass back with metal frame running all around. The phone comes with a 5.84-inch FHD+ display that supports HDR10. Nokia 8 (2018) is priced at Euro 399 (approximately Rs 32,000). There's also an 8-megapixel lens up front for selfies and video calls. On the rear side, the handset boasts of dual camera setup comprising of 12-megapixel autofocus sensor with f/1.8 aperture along with a 5-megapixel sensor. There are also reports of a 13-megapixel secondary camera sensor at the back with fixed focus. The 13MP module is just a depth sensor. The phone has 64GB of storage (expandable up to 256GB), a microSD card slot, and a 3,500mAh battery, which supports fast charging and which the company claims can last up to two days between charges. The rear camera comes with features such as Optical Image Stabilization, Electronic Image Stabilization, dual PDAF, AI scene detection and optimization for low-light photography. It comes in three colour options of blue/silver, steel/copper and iron/steel. In the connectivity zone, Nokia 8.1 can be expected to offer 4G VoLTE, Wi-Fi 802.11ac with VoWiFi, Bluetooth v5.0, GPS/ A-GPS, GLONASS, FM radio, a USB Type-C port, and a 3.5mm headphone jack.